The Arabian Ranches is a gated community which was launched in 2004. As of one of the more luxurious residential areas in the Emirate, Arabian Ranches hosts more than 5000 villas and townhouses. The region also encompasses many retail stores, leisure spots and other necessary facilities required for its residents. The 18-hole Arabian Ranches Golf course is one which attracts even remote tourists to the location. The community also has an equestrian center which provides a number of sporting activities such as polo and horseback trail riding to its visitors. SpeedyDrive aims to make your stay in Arabian Ranches a smooth one. We are the most trusted car rental service in Dubai offering customers both cheap and luxury travel options. Our uncomplicated booking process and dedicated customer service setup make us stand out from our competitors. Unlike other rental services in the Emirate, we also offer the provision for a second-party other than yourself to ride the hired car, all you need to do is submit their documents for verification. 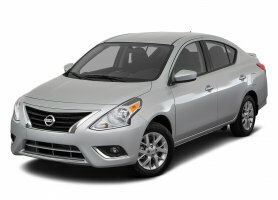 Our fleet of rental cars is available for long-term rentals. We have not limited our inventory for rental periods exceeding three months or more. Other than the apparent quality of our service, the prices are also affordable. You can get an SUV or a hatchback for as low as 2,299 AED & 1,540 AED per month respectively.